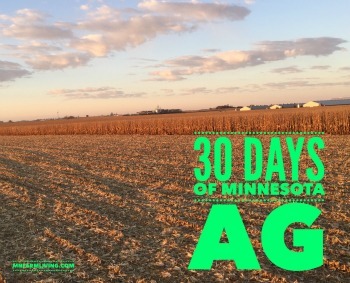 Day 26 of my 30 Days of Ag “All Things Minnesota Agriculture” is Hugoson Pork. 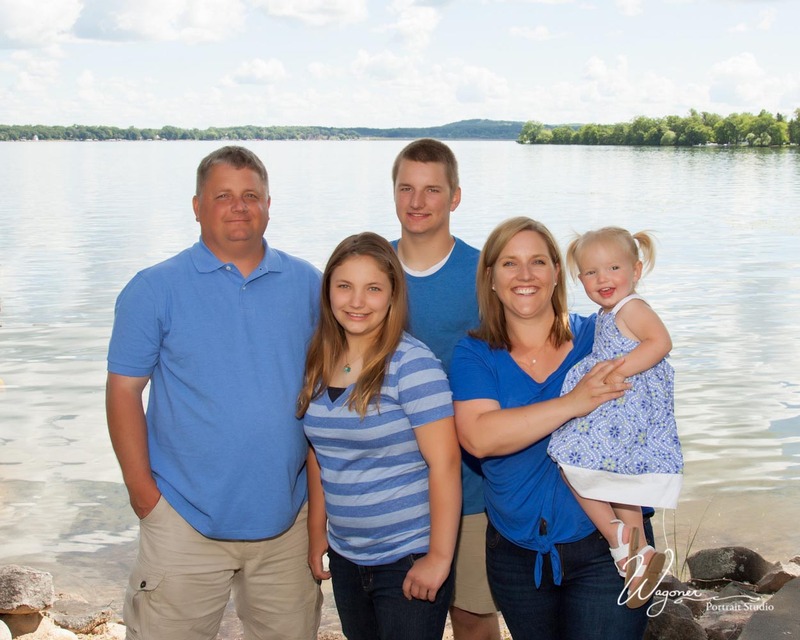 Hugoson Pork is owned by Kevin & Mary Hugoson, Eric Hugoson, and Cody, Angie, Addison & Kylie Toothaker. They are located in East Chain, MN. I have known the Hugosons for many years. They are upstanding members and leaders of the community. 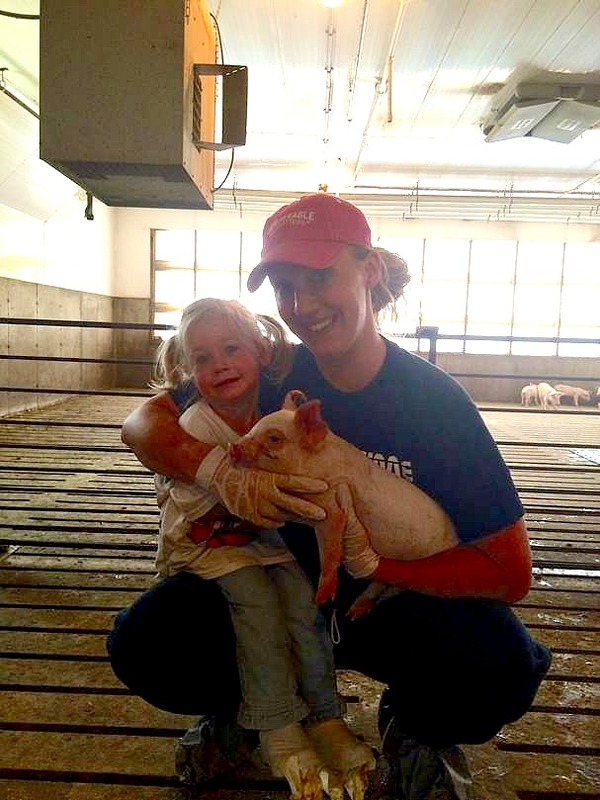 When our county started to expand in pigs, a number of younger pig farmers decided to meet informally on a regular schedule. It was a group of about eight farmers. Kevin Hugoson, along with my husband, were members of this group. Why did they meet? Each of them brought their production records to share with the sole purpose of learning from each other. They wanted to know what worked and what didn’t work on each of their individual farms. Their ultimate goal? To be better farmers. No organization or business were behind these meetings. They met because they wanted to and knew it would be key to their success. And it was. . . 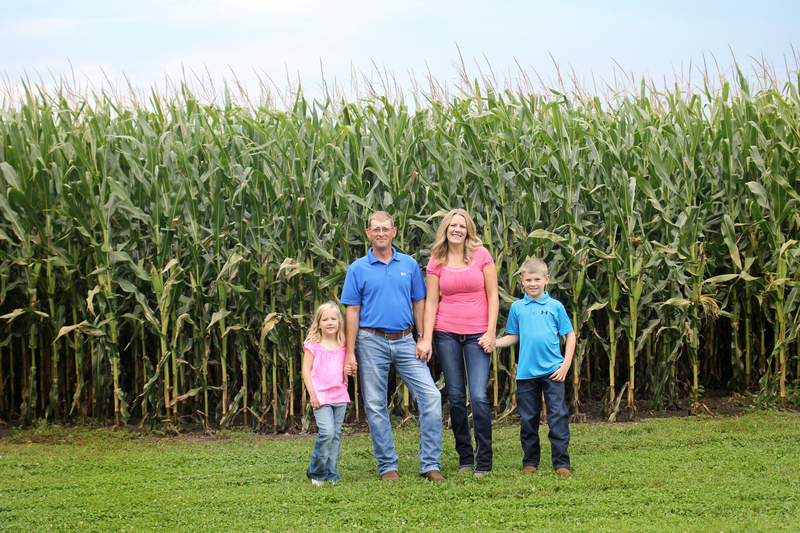 Most recently, Kevin and Mary Hugoson purchased the farm in 1985 from Kevin’s parents, Leighton and Ardis Hugoson. 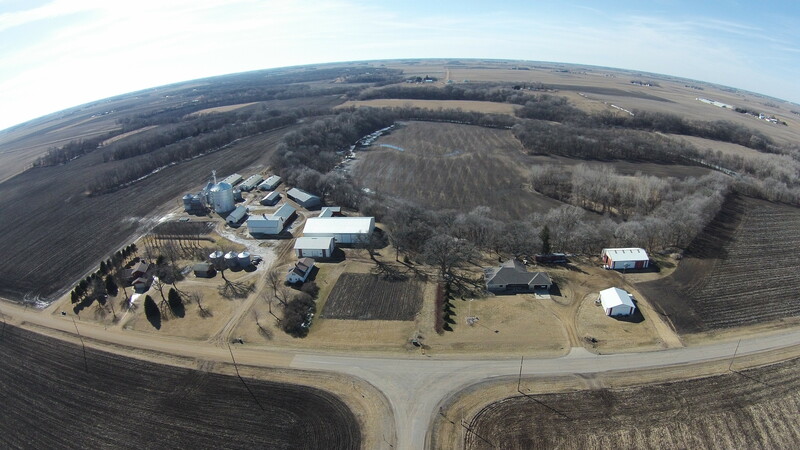 At the time of purchase, the Hugoson farm was a 200 sow farrow-to-finish operation. 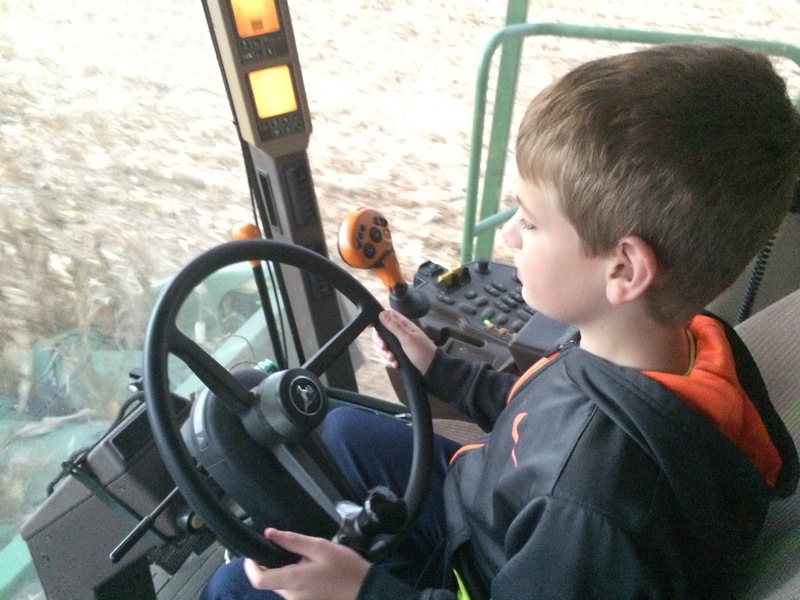 Today the Hugoson Family farm is a fifth generation farm. It is a farrow-to-finish operation which consists of 5 sow farms. The Hugosons are the owners of 15,000 wean-to-finish spaces. They have 25 contract growers and 50 full-time and part-time employees. They also grow corn and soybeans. Kevin and Mary live in the farmhouse Kevin’s great-grandparents built after arriving from Sweden. 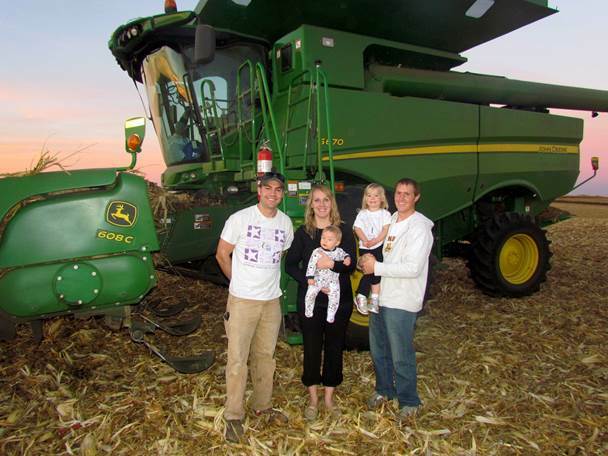 They farm with their son Eric and daughter Angie and son-in-law Cody. Angie and Cody have two daughters, Addison & Kylie. 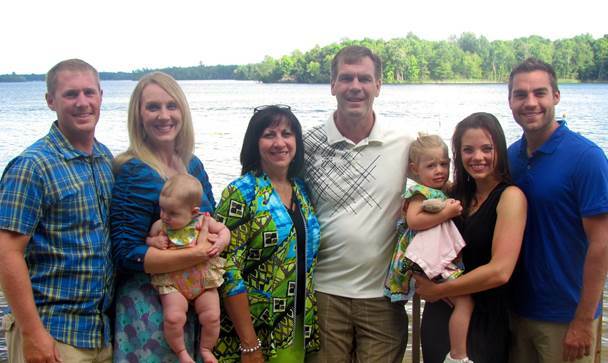 The Hugosons are involved with the East Chain Evangelical Free Church, Martin County Pork Producers, Fairmont Teen Community Bible Study, Fairmont Fellowship of Christian Athletes and MN Pork Producers Association. Kevin is the former Minnesota Pork Producers Association President. When Eric and Angie were younger, they were also very involved with the East Chain 4-H Club. Our business is about family. Raising pigs is our livelihood. It’s our passion. We love what we do. We wake up every day and ask ourselves what can we do better. I think the farther our society gets from the farm, the harder our job becomes. On top of trying to do the best we can to raise our animals, it seems like we spend more and more time to properly educate our consumers. If we do not get out and tell our story, someone else is going to do it for us, and it isn’t always the truth. It seems like our society has become comfortable creating all of their opinions based on what they read on social media or heard Dr. Oz say, rather than asking a farmer for themselves. Do we all have to agree on everything? No. But at the end of the day, all we ask is before people create a strong opinion one way or the other, that they get the facts straight from the source. We live in the most pig dense county in the state and at times that can be daunting when it comes to herd health, but it also can be exciting and challenging. We take biosecurity seriously to make sure that we keep our animals healthy. With harsh winters and hot summers it is important that every single one of our animals is in a climate controlled environment. Our pigs have access to feed and water at all times. We care about every single animal that we have! 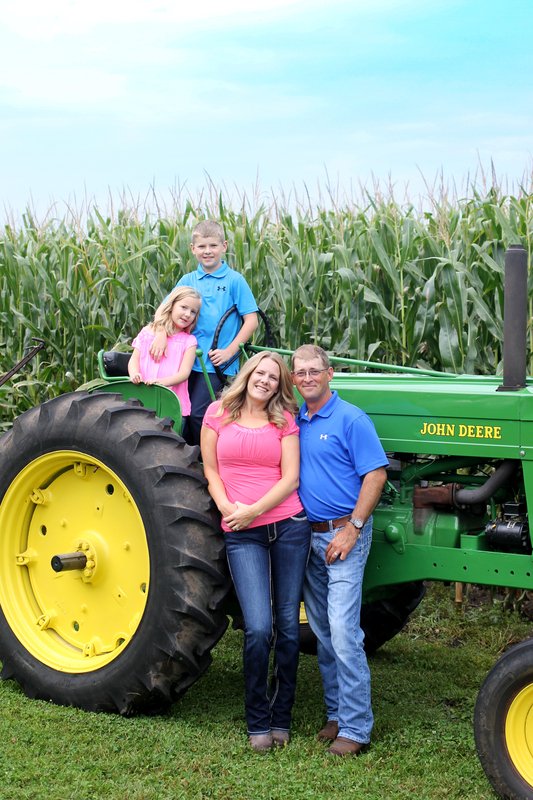 Despite being a fifth generation family farm, we wouldn’t be where we are without the help of our outstanding team of employees. They are an integral part of what we do and who we are. We are so thankful that we have been blessed and hope to continue our family business for many generations to come. We are proud to be a small part in feeding our world! 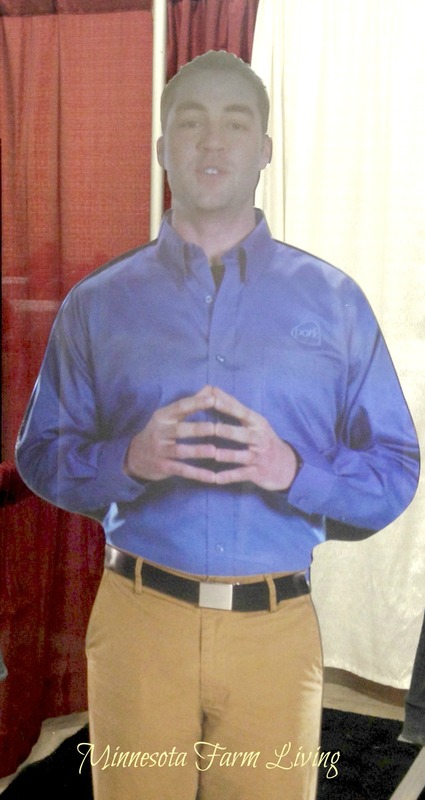 If you have been to the Minnesota State Fair’s Oink Booth or other events where the Minnesota Pork Producers are represented, you may have seen the “virtual farmer.” Well, the face behind the “virtual farmer” is Eric Hugoson. And now you know! 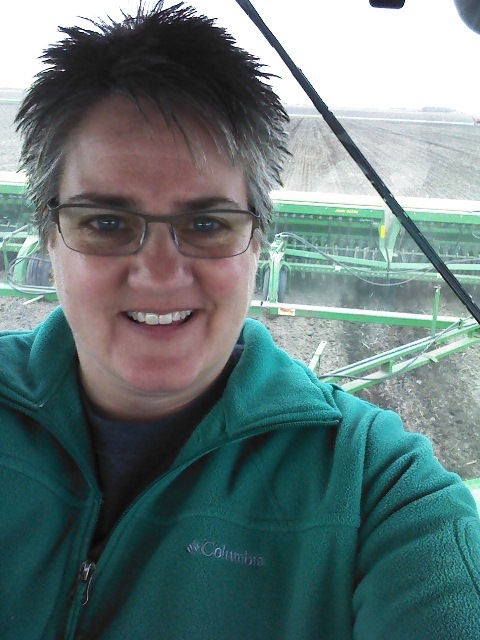 Day 21 of my 30 Days of Ag “All Things Minnesota Agriculture” is Betsy Jensen. Betsy lives in Stephen, MN. Betsy and her family operate a crop farm in the far northwest corner of Minnesota. They also own a seed company. Their family farm mostly sells wheat and barley seed, and custom clean wheat and barley seed for area farmers. They also grow sugarbeet, soybean and corn seed. 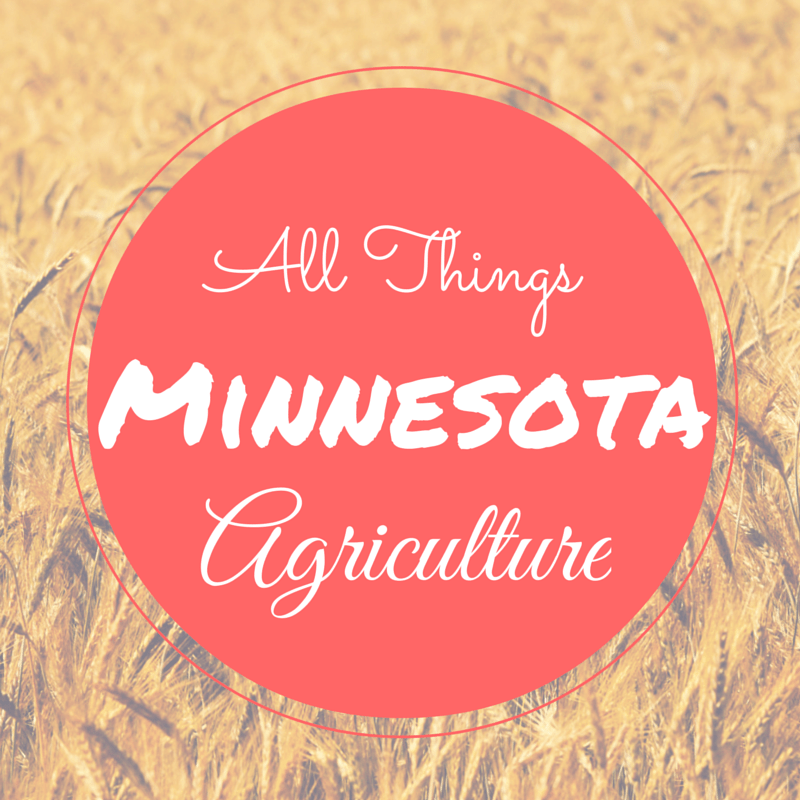 Did you know the state of Minnesota is number one for sugar beet production? Did you also know that sugar beets are a biennial crop for seed production? That’s right. Sugar beets are harvested only once every two years to harvest seeds for future plantings. For sugar production, sugar beets are harvested yearly. Seed production is in the Willamette Valley, Oregon. In addition to farming, Betsy is also the editor of the Prairie Grains Magazine. 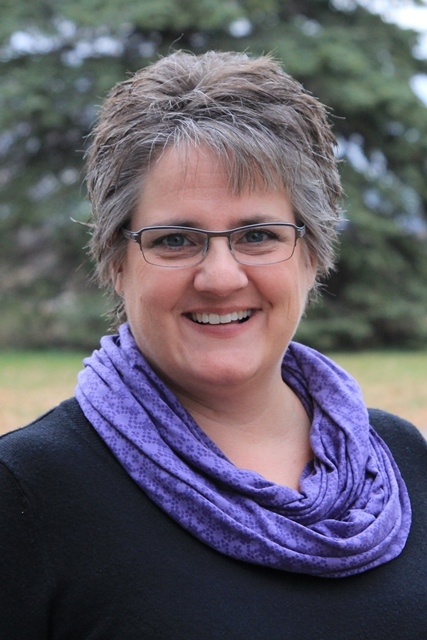 I met Betsy through the MARL (Minnesota Ag Rural Leadership) program and once I learned about her farm, I knew immediatley I wanted to feature her in my “All Things Minnesota Agriculture” series. As a farmer from southern Minnesota, I knew our farms were different than those in the northern part of the state. And her story just reinforces that. 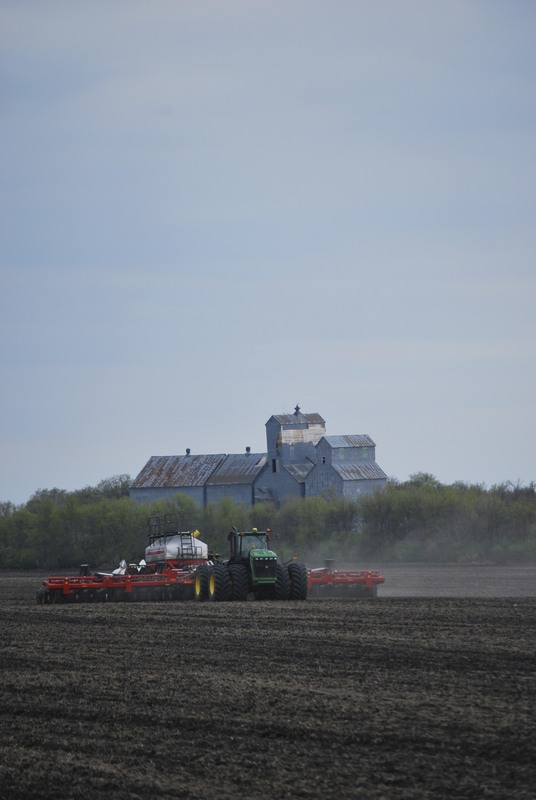 Yes, they do grow some corn and soybeans, but they also grow other crops that are fairly foreign to southern Minnesota farmers. “Most spring wheat is exported. Minnesota produces high quality bread wheat, and Asian countries are a top destination for it. That loaf of bread in your cupboard also probably contains Minnesota spring wheat. If it’s not Minnesota wheat, then it came from North Dakota. Our navy beans are sold to a Canadian company, Thompsons Limited. You may find them on your grocer’s shelf in bulk. If you’re ever in England, buy some canned Heinz baked beans with tomato sauce for your toast for breakfast. (yes, that’s a common breakfast) Those beans may be from our farm. I also make a mean ham and bean soup. If you’re planning to stop by, let me know and I’ll make a batch. Our barley is contracted to Anheuser Busch and is eventually beer. YOU’RE WELCOME! Our sugarbeets are processed by the cooperative American Crystal Sugar. We’re members of the co-op, and there are 5 processing plants in the Red River Valley. Even if the sugar in your cupboard is a store brand, it may still be Crystal Sugar. It is also sold in bulk for your cereal, candy bars, and cake mixes. What do you wish consumers knew? “I wish consumers would understand how much unique care each crop requires; different soil types are better for different crops, different fertilization rates and nutrient requirements, seed, disease, equipment, it is chaos. Take for example wheat and barley. Most consumers would not be able to tell a wheat field from a barley field. They look alike at first glance. But in barley, you get a premium for LOWER protein. In wheat, you get a premium for HIGH protein. So your fertilization goals are different. Diseases are also quite different. Barley also requires swathing prior to harvest, where most wheat is straight cut with the combine. Navy beans and soybeans also look alike in the field, but navy beans are high maintenance. Harvest is a 3 step process: Knife the beans, windrow the beans, and finally harvest with a special navy bean combine. Then the navy beans require bean ladders in the bins so they don’t split when you fill the bin. Instead they fall short distances down the ladder as you fill the bin. Soybeans are a lot easier to raise, but profitability for navy beans is usually better (not always). Think of the crops are your children. Child 1 has football after school, band on Tuesdays and refuses to eat anything but macaroni and cheese. Child 2 has ballet on Tuesday nights and violin on Thursdays, and also has an art project half finished on the kitchen table. Child 3 plays soccer on the weekends and has a peanut allergy. Each child is unique, and has different care requirements. The crops are our children, with their own needs. Farmers are always continuing their education through extension seminars and field days, always learning how to be better “parents” for our crops. Every year we tweak something, based on the newest research. I wish every night for GM wheat. Right now, we have Lr21, a gene resistant to leaf rust. Unfortunately, new strains of leaf disease are beginning to out smart Lr21, and it’s the only tool in our tool box. If a wheat variety has resistance to leaf disease, it has the Lr21 gene. If we can’t find a new gene, we will have to begin spraying fungicide on the wheat almost immediately after emergence. Conventional breeding will likely take too long, so I hope we can isolate a resistance gene, and get new and better varieties sooner than later. No one wants Roundup Ready wheat, but disease is a huge issue for wheat growers, and if we can just find a gene that will allow us to spray fewer chemicals, farmers would rapidly adopt that technology. (I’d also like to add bacterial streak, fusarium head blight, tan spot, stripe rust, stem rust to my list of things to solve with GM wheat).